In 2016 Plan International published research into what life is like for girls living in the UK. After reading the report, Liz and Krista, the Co-Founders of Rubies, felt it was vital that girls in Middlesbrough were given opportunities to hear a different message. They set up a local group to encourage girls to recognise their unique strengths and abilities and soon ‘Rubies’ was formed. 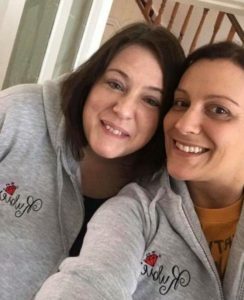 In February 2018 Rubies became a registered charity and Liz and Krista are now working with local primary schools to encourage girls to see themselves and each other positively. In the natural world Rubies are considered to be one of the most precious and valuable gemstones. As a charity we believe that our local girls need to know that they are also valued and have inherent worth. We believe that they have strengths and great potential and that, like natural rubies, they can develop their own vibrant characters. Rubies has developed a unique 8 week course for Year 6 girls to support them as they prepare for the transition to secondary school. We will also be developing courses for older teens and are hoping to consistently connect with the same cohort of girls over a 5 year period to offer them support and encouragement. We are also planning to set up a mentoring service so we can offer 1-2-1 input for vulnerable girls who need more support in order to overcome the challenges they face.